The 18th December 2013 is the 70th anniversary of the death of Lt Harry Goslin RA of 53 Field Regiment. He is buried in the River Sangro Commonwealth War Cemetery, in Cheti Province, Italy. His story and that of the battle in which he died deserve to be remembered as they show a different aspect of the Second World War. Before the Second World War Henry “Harry” Goslin had been the captain of Bolton Wanderers Football Club. On 1st March 1939 Hitler broke the terms of the Munich Agreement by invading the rest of Czechoslovakia. On 14th March 1939, before the next home match Harry addressed the crowd with a megaphone urging them to join the Territorial Army. After the match, 32 out of 37 men on the playing staff joined the armed forces, 17 joining their local TA unit, the Bolton Artillery. 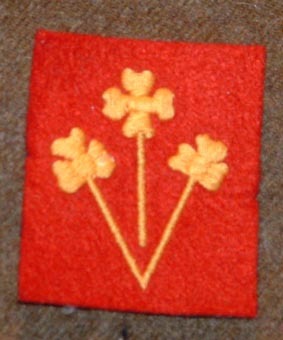 The idea of “pals” battalions of chums joining the same unit and serving together is much more associated with the First rather than the Second World War. However the Wartime Wanderers joined together and served together in what was mobilised as 53rd (Bolton) Field Regiment RA. They served in France and Belgium in 1940, were evacuated at Dunkirk, then sent overseas serving in Iraq and at the second battle of El Alamein as part of the 8th Indian Division. The Regimental football team was much in demand as an expert position matches. 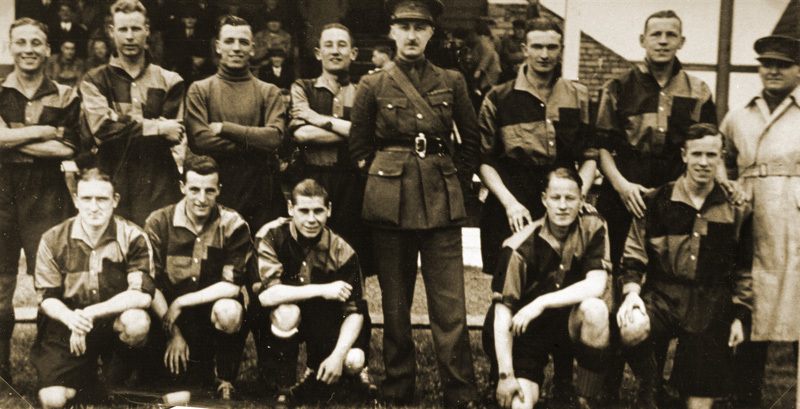 While the Regiment was based in the Uk, players continued to play for their own side and as guests for football clubs close to where the Regiment was stationed. Harry Goslin played for Bolton in 4 out of 22 matches played in the 1939-40 season as well as appearing as a guest for Chelsea and Norwich City. The 3/15th Punjabi Regiment had originally been raised as the Rawlpindi Regiment in 1857, and served in the Second Opium War alongside some of the Dragon batteries, and then in Afghanistan and Somaliland. As the 27th Punjabi Regiment it served in France and Mesopotamia in the First World War, and was renumbered 3/14th when the Indian army was reorganised in the 1920s. After partition it was transferred to the Pakistan army where it still exists as the 11th Punjabi Regiment. The Punjab countryside was fertile recruiting ground for the British Indian Army, with military service an attractive alternative to life on the land. In return the British values its soldiers for loyalty and hardiness. These were some of the conditions which led British post war industry to attract workers from the Punjab to serve in the textile industry of the North of England. The policy not to raise artillery units from the Indian population dated from the aftermath of the Indian mutiny, as a measure to prevent any future rebellion from having access to the firepower of the artillery. The story of the Royal Artillery in the World Wars is that of the Indian as well as the British Army and its formations. Three Indian Army Divisions served in Italy, the 4th, 8th and 10th and with them nine field regiments and three LAA regiments. In September 1943 the 8th Indian Division and with it the Wartime Wanderers sailed to Italy to reinforce the 8th Army. The battlefields of the Sangro and Moro rivers do not attract as many visitors as those on the Garigliano and Rapido, conveniently between Rome and Naples with the focus of the historic cultural icon of the Abbey of Monte Cassino. The Sangro battlefields took place in the Adriatic region of Chieti, which isn’t as accessible and further from the major cultural tourist sites. The battle has also been overshadowed by the historic drama of the battles of Cassino and the Anzio landing. But this battlefield does not deserve to be neglected. These battles were the last battle fought by Montgomery as commander of the Eighth Army, and the largest set piece battle commanded by him on the mainland of Italy. In late 1943 the allies stiller had hopes of capturing Rome. 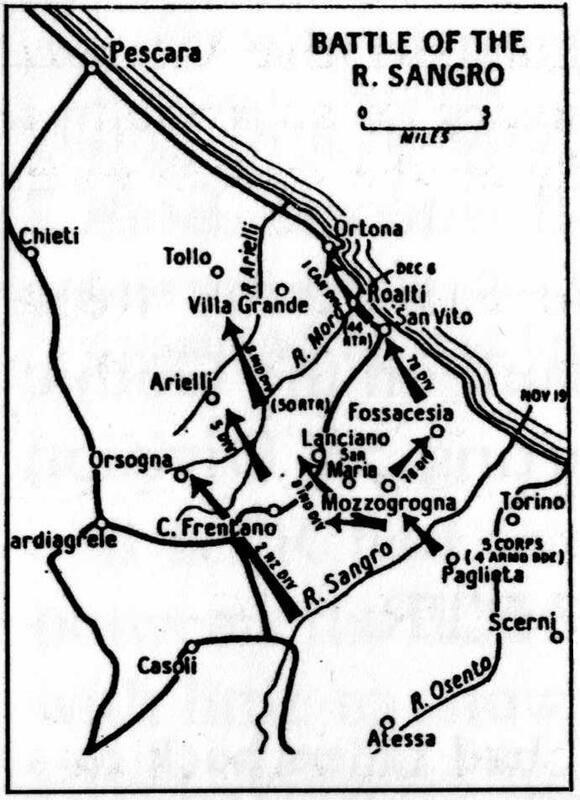 In October the Germans made the decision to try to stop the allies south of Rome and constructed the Gustav or Winter Line based on the Garigliano River flowing west and the Sangro River flowing east across the “calf” of the Italian boot. The Fifth Army under Mark Clark was to advance from Salerno and Naples via the West coast. Montgomery with 8th army was to push along the Eastern Adriatic coast, break through the Gustav line on the coastal plan, press on the Pescara and then attack Rome from the east, across the ApennineMountains. While the coastal strip south East of Pescara is much gentler country than the mountainous terrain around Cassino, the landscape played an important part in shaping the battle and is reasonably well preserved. The battle of the Sangro was a set piece battle mounted by the four infantry divisions of the Vth Corps, and started on the 20th November 1943. Supported by 652 guns and the Desert Air Force the Eighth Army blasted its way across the Sangro River and almost obliterated the 65th German infantry division defending the sector and capturing its divisional commander. The operation took place under appalling weather conditions. “The winter rains had set in, and no reprieve from bitter cold, swollen streams, and sodden earth could be expected. The Sangro in spate averaged five feet in depth, and was of such turbulence that patrols on more than one occasion had been drowned. The infantry bivouacked miserably in boggy fields under pelting showers. 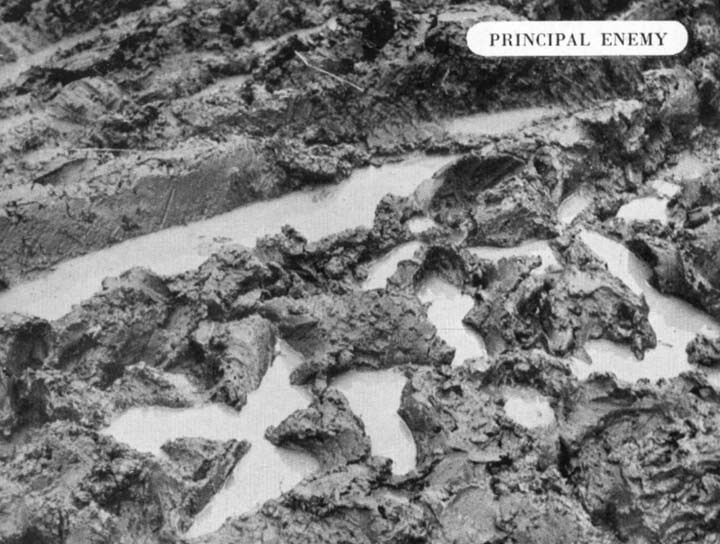 Transport speedily churned the water-logged earth into mud soup; vehicles slithered and skidded uncontrollably on the greasy tracks. Heavy transport and guns were winched and manhandled into position by their shivering, mud-soaked crews. Sappers and transport services toiled unceasingly to keep the roads open, and to get supplies through to the advanced positions.”(3) The 100ft wide Sangro River became a 1000ft wide torrent which washed away the initial bridges constructed by the Engineers. After a week of fighting, which drew in the German reserves from across Italy, the German commander decided to fall back from the Line of the Sangro and the Gustav line defences and defend the next river line back, that of the River Moro. In itself this was an achievement as it took the 5th Army many more months to break through the Gustav line on the admittedly more difficult sector they faced. (1) 8th Indian Division build the “Impossible bridge “ across Moro River. (2) From 9th Dec 1943 The 21st Indian Brigade secures the ridge above the River Moro Crossing by 13th Dec 1943. This is where the 1/15th Punjabis and Harry Goslin would have been likely to have been. (3) 17th Indian Brigade attack Caldari and seize pt198 on the lateral road. (4) Attack by 1st Canadian Division on 14th Dec 1943 towards Casa Beradi. (5) The guns of the 53rd Fd Regt RA deployed West of the village of Tregelia. Technically, Harry Goslin fell at the battle of the Moro River rather than the Sangro. The title of the History of the 8th Indian Division is “One more River”. (1) The geography of the Italian peninsular meant that the campaign was the story of an assault on the inevitable hill between one river valley and the next. The Germans did not defend the river banks themselves. Instead they held the high ground dominating the exits from the river valleys and reverse slope positions beyond the ridgelines, while deploying snipers and patrols on the forward slopes. Towns and villages on the ridges such as Orsogna and Ortona were often built on tactically important positions, which had withstood the ancient endemic risk of attack by pirates. The German defenders were drawn from the 26 Panzer Division, 90th Panzer Grenadier Division and the 1st Fallschirmjaeger Division. 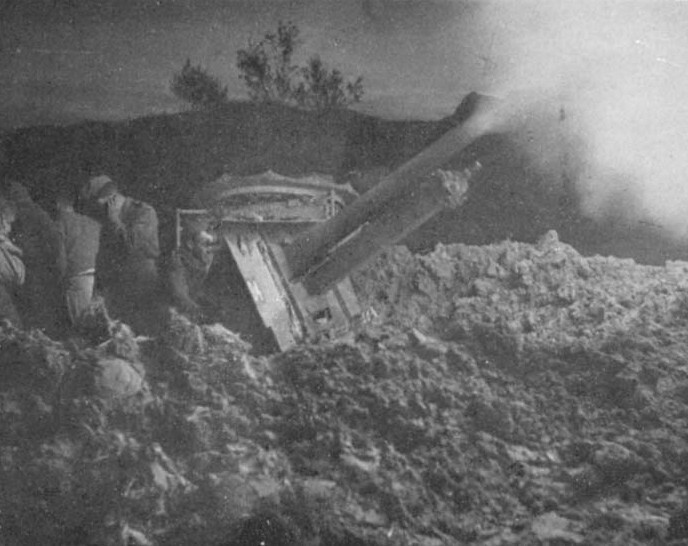 Later that day the diary noted “heavy enemy shelling of the Observation Post (OP) positions – an increase” and two serious casualties. One was Gunner Plummer an OP signaller killed by a sniper’s bullet. The second was Harry Goslin, wounded by a shell or mortar round bursting in a tree above his slit trench. The slit trenches customary in the Second World War provided protection against splinters from shells or bombs bursting on the ground. However, without overhead cover they were vulnerable to splinters from exploding shells overhead. 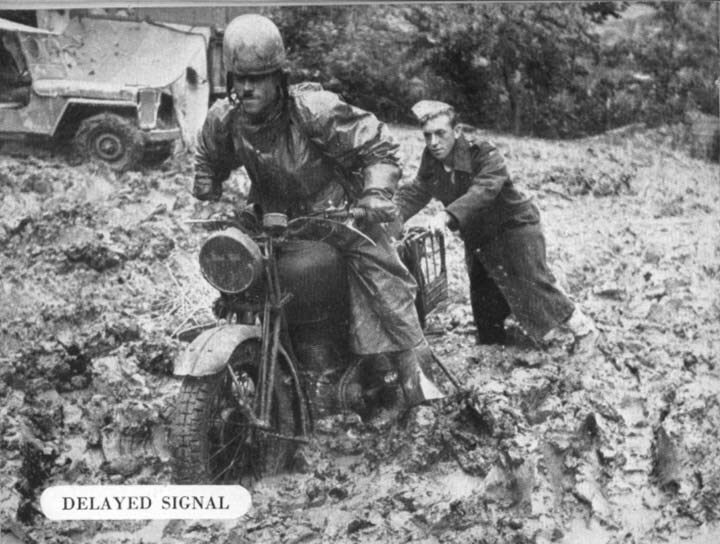 Prior to the invention of radar “proximity” fuses, it was difficult to achieve accurate air bursts. However, if a shell struck a tree it would burst at the optimum height to inflict casualties. Harry Goslin was caught like this and paralysed by a shell splinter in the back. He was evacuated but died four days later and is buried 20 km south at the Sangro War cemetery in plot XV. Row C. grave 29. He was the only member of the Wartime Wanderers to be killed in the Second World War, but two other members of the seventeen who served in 53rd Field Regiment were wounded during the war. The Battle of the MoroRiver was a significant battle, the last attempt by the 8th Army to break through on the Adriatic coast. To the right of the 8th Indian Division the 1st Canadian Division attacked towards Casa Beradi and the crossroads leading towards the town of Ortona. The bitter house to house fighting in Ortona between the Canadians and the German paratroops which lasted until the New Year is the main episode remembered from the battle of the Moro River. The story of the Indians who fought alongside them and endured the mud and slit trenches in awful conditions, deserves to be remembered, as does that of the gunners who supported them. 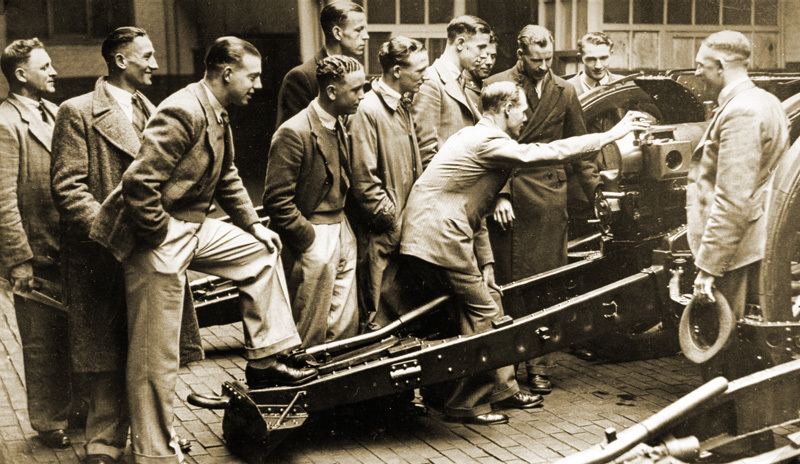 A film is being made.It is great to see that it is about a bunch of gunners. Pescara is a good base for exploring the battlefields of the Sangro and the Moro. There are cheap direct flights from the UK to Pescara. As a holiday resort it has ample accommodation and, out of Italian peak season it is easy to find accommodation. It is possible to fly to Rome and travel over the Apennines by road or rail. The countryside is quite spectacular and illustrates why the Allied plan to take Rome via Pescara was doomed from the moment the Germans decided to stand South of Rome. Ortona has a fine little military museum and the Commonwealth War Cemeteries, as everywhere, are well maintained and their staff helpful. The battlefield is one of the battlefields that need to be visited to appreciate the micro-terrain, the tactically important minor features of what Montgomery described as “ridge and furrow” countryside. Although Ortona has sprawled along the lateral road the battlefield is much less overgrown than the Monte Cassino massif or litter laden and developed than Anzio. There are plenty of view points beloved for military studies and TEWTs. The area is less geared to battlefield tourism than around Cassino, but when aware of the purpose of a visit the local response can be humbling. An explanation to the hotel owner of the purpose of the visit resulted in the owner telling the story of her father, taken prisoner in Sicily and her uncle who fought with the partisans alongside the British Major Lionel Wigram. As soon as the occupants of the “manor House” in Casa Beradi had worked out that the group of people in German registered minibuses were British soldiers the hospitality was overwhelming. 2. One More River the story of the 8th Indian Division.